Engine Finder represents a large network of network of engine importers and scrap yards that spans all over South Africa. Each month we help hundreds of South African motorists find Ala Romeo engines for sale. We not only do engines but spare parts too. Simply complete the form and sit back and await the best quote from our network of scrap yards, engine importers and motor spare companies. What ever you may be looking for, whether it be a v6, twin cam or the 147 engine, we will help you find motor you may need! looking for a complete 3.2 or 3 liter V6, engine on a Alfa Romeo in the George area please. I am looking for a complete engine for a Alfa Romeo, 3.2 lit, V6, 2013 model, 936A. Hi I need a price on a 2.0 16v twinspark engine for my 147. If not a full engine a complete sub-assembly would also be fine. 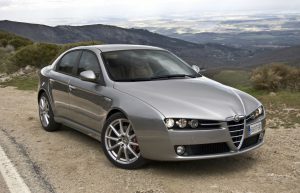 i am looking for a 2.5 or 3.2LT engine and gearbox for my 2.0 LT alfa 156 can i put the bigger engine in her? Acknowledged and thought of on the list of most valued Italian cars, Alfa Romeo is different, chic, classy, comfortable as well as reliable. Therefore, it’s not difficult to understand exactly why Alfa Romeo is among the ordinarily sold makes. Nevertheless, additionally it is important to recognise the high cost of equally buying and fixing these automobiles. Many of the Alfa Romeo owners wind up leaving their passenger cars for a while to save cash for spares and even while this really is necessary, many times, it exposes your motor vehicle to several some other consequences and damages that form when the motor has not operated for a long time. The engine of Alfa Romeo Twin Spark (TS) “double spark”, was used for the first time in the Great Prizes in 1914 . In the 1960s it was used in racing cars such as the GTA and TZ models that allow it to achieve higher performance . In the mid-80s, original Alfa Romeo began to incorporate this technology to their street vehicles in order to improve and comply with strict emission controls. The Twinspark engine is a patented technology installed in Alfa Romeo cars based on the use of double spark plugs per cylinder. Initially it is mounted on the Alfa Romeo 75 / Milano and later they were installed on models 164, 155, 145, 146, 156, 166, Alfa Romeo GTV6 / Alfa Romeo Spider 916 and 147. The first TS series were 4-cylinder in-line alfa engines with double overhead camshafts ( DOHC ). The original engine with 8 valves was provided with cylinder heads and engine blocks of silicon and aluminum, wet shirts of iron for the cylinders and double chain of distribution for the camshafts. The valves are cooled with sodium, hollow inside, contain a quantity of this metal, which distributes the heat along the stem of the same, cooling the valve head. The design of the engine is similar to the previous generation of bialberos, the famous unbreakable DOHC Alfa Romeo engines, noticeably raised. The 16-valve engines have the cast iron block of Fiat origin , with alloy stock, and camshafts driven by belts. The main improvement of these engines compared to conventional ones, is the greater facility to consume the burned gases due to the two flame fronts, increasing the yield and decreasing the consumption. 8v and 16v have 2 spark plugs per cylinder, the difference is that in the 8v the same 2 spark plugs per cylinder are used. The motors also incorporate other two devices to improve the performance, the camshaft with variator of phase and the variable control of admission, only instrumented in the versions 1.8 and 2.0. At lower rpm the length of the inlet manifold increases, promoting better combustion and quality of the mixture in these conditions, also changes the intake of resonance frequencies. The advance of the camshaft inlet of 30 degrees (or camshaft 15 degrees) varies the opening and closing time of the valves. This system acts when predetermined conditions of rpm and load occur, getting that during the compression phase of the engine begins before the camshaft is in this position, thus increasing the compression ratio by increasing the torque. BMW Vanos is based on this operation. The variable input makes control in the air intake to shorten its path from the valve, again when the engine reaches a predefined RPM. This works on the principle that the long air intake is a tube that tunes to your frequency ideal in tune with the valves, will allow good air flow and even, and will help fill the cylinders efficiently. This works in a method similar to the tuning of the exhaust system in all modern cars, which creates the pressure exhaust system to extract spent gases from the cylinders. The variable intake system uses the cone inside the negative airbox to reflect pressure waves down the entrance. These waves are used to aid in the filling of the cylinders. In the lower part of the RPM the air increases the speed of the intake air and improves mixing, combustion, low rpm emissions and torque. The variable valve timing gave the Twin Spark engine very good performance for its displacement, but it is one of the weakest areas of the 16-valve engine. The cam drive that controls the time. The symptoms are a slight loss of performance and a rattle-type diesel of the top of the engine, which appears at the start and gradually lasts longer. Therefore, it is advisable to change the cam variator every 36,000 miles (60,000 km). The variator has a problem often seen in the previous version 8V Twin Spark, since when using a different system of cam variator, it is also the case for the 16v versions used in the Alfa Romeo 156 and the 147. With the criteria you’ll want to be aware of, you can certainly locate the Alfa Romeo South Africa dealers. Almost all the professional traders own an respected website that incorporate the information which they offer. In order to find these companies, simply execute a web search for companies that can be found in the vicinity of your home or place of work. You will subsequently be able to use the factors explained above to limit the search results and look for the most effective dealer. Any time you employ these factors, they will restrict your research, and you will be sure of finding the right Alfa Romeo dealership. It’s always generally far better to acquire second hand Alfa Romeo engines from legitimate certified motor spares stores that are allowed to operate in the region. This tends to make sure you get the very best quality and procedures that allow you claim refunds for components that don’t fit the bill.